It looks as though we're in line for a PadFone mini, an 8-inch MeMo Pad and a 5-inch MeMo Fone from the Asus stable, if some roadmap slides are to be believed. From the interestingly-named Hero Innovation Wow Experience - score one for naming stuff by opening the dictionary to random pages - conference, the slides don't reveal much beyond the names of the devices. On the smartphone front, the PadFone mini is listed alongside the pre-existing PadFone Infinity - we're not sure, but we think this might be a mini version of that, so expect a screen size of around 7-inches. Onwards to the MeMo Fone - yes, that's right, a MeMo Fone - which is officially referred to as the MeMo Fone HD 5, we're anticipating a 5-inch HD screen on the thing. 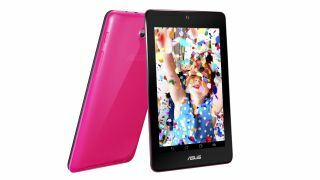 Asus' 3G enabled FonePad slate looks set to get an update too in the form of the FonePad HD 7 - and given that the MeMo Pad HD 7 is basically the Google-less new Nexus 7, it could be quite a looker as well as offering call and text functions. We might even be treated to a smaller version of the FonePad tablet with the FonePad Note FHD 6 (now that's a mouthful) also listed on the leaked slides. Also getting a mention is the MeMo Pad HD 8. We'll leave you to decipher that one yourselves.